You are here: Home / Obituaries / John C. Buch, Jr.
John C. Buch, Jr., 92, formerly of 1961 Drexel Avenue, Lancaster, died Friday, July 8, 2011, at Masonic Homes in Elizabethtown. He was the husband of the late Miriam E. (Leonard) Buch who died in 2003. Born July 7, 1919 in Lancaster, he was the son of the late J. Calvin and Dora Gainor Buch. Mr. Buch was a Corporal in the Army Air Force serving during World War II. He was the Supervisor of the Equipment Development Machine Shop at RCA and retired in 1974 after 26 years of employment. After retiring, he served as an Industrial Engineer Consultant for various companies. John was a member of the Evangelical Lutheran Church of the Holy Trinity in Lancaster. His other memberships included the Lancaster Masonic Lodge #43 F.&A.M., Lancaster Lodge of Perfection and the Harrisburg Consistory 32nd degree. Surviving are two sons, Donald husband of the late Jennie Buch, and James husband of Janet Buch, both of Penfield, NY; four grandchildren, Robert, Gary, Douglas, and Richard; and seven great-grandchildren. 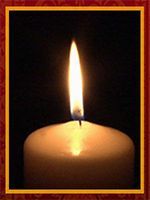 Relatives and friends are invited to attend a Memorial Service to be held on Saturday, July 16, 2011 at 2:00 PM at Holy Trinity Lutheran Church, 31 S. Duke St., Lancaster, PA with Reverend Timothy Mentzer and Deacon Augustus Mauro officiating. Friends may greet the family on Saturday from 1:30 P.M. until the time of the service. Interment will be private and held at the convenience of the family. In lieu of flowers, contributions in his memory may be made to the Holy Trinity Lutheran Church, 31 S. Duke St., Lancaster, PA 17602. Offer Condolence for the family of John C. Buch, Jr.